The case studies aim to show inclusive design in practice. All the case studies can be found in our case study index post. At the end of each “Dementia Friends” session participants are invited to make a commitment to a single action that will help spread awareness. 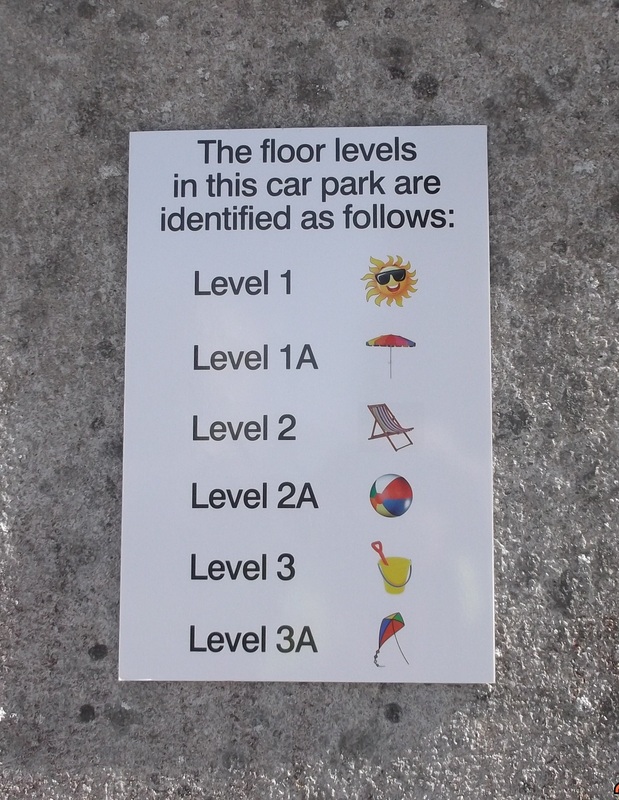 North Somerset car parking services’ action was to improve access to their multi-storey car park in Weston-super-Mare. It’s used by a lot of leisure and business visitors. 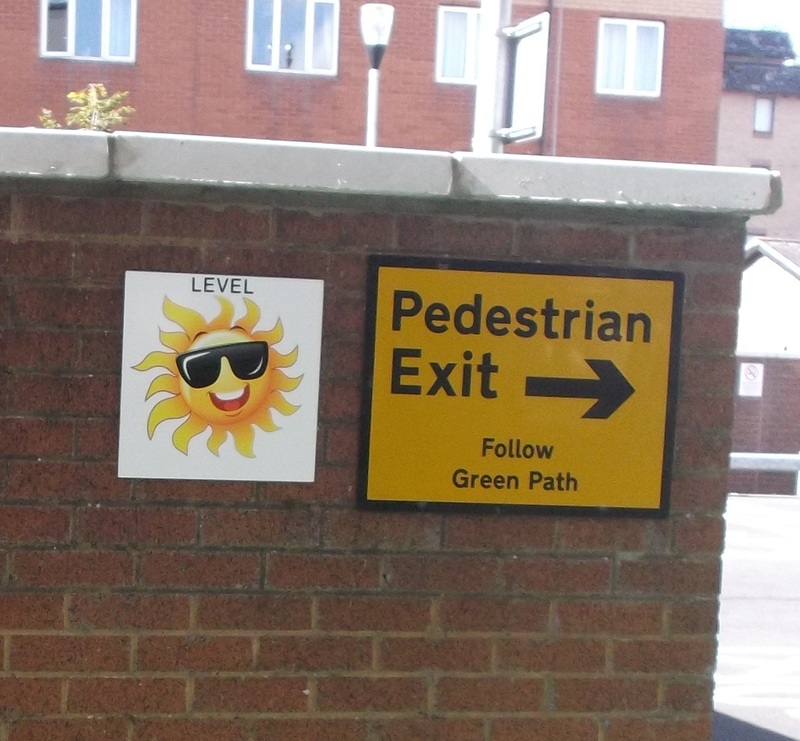 It was decided to use images relating to the town and the places people visited to compliment the floor numbers and make them more memorable. It helps everyone, but in particular people with dementia. 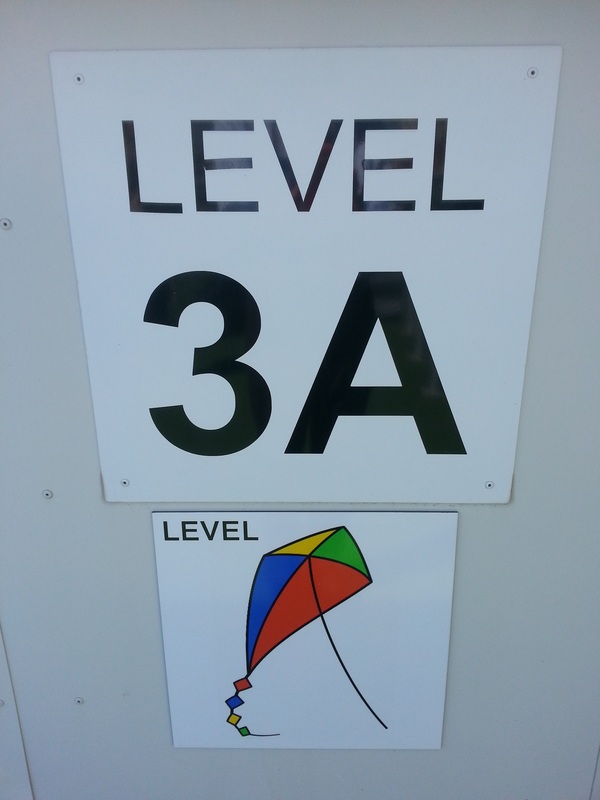 To find out more about wayfinding and signage see our other sign design posts.